A few years ago I invested in a pair of boots from Ridgemont Outfitters. At the time I knew next to nothing about the company, but now I’ve become a big fan. 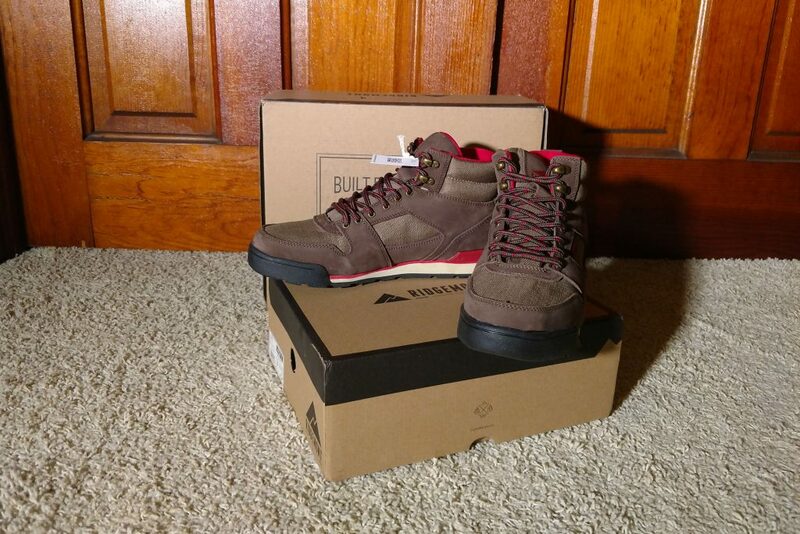 I ended up loving that initial pair of boots; Monty Hi hiking boots in oiled suede. Over the years that I wore them, I probably put about one thousand miles on them. 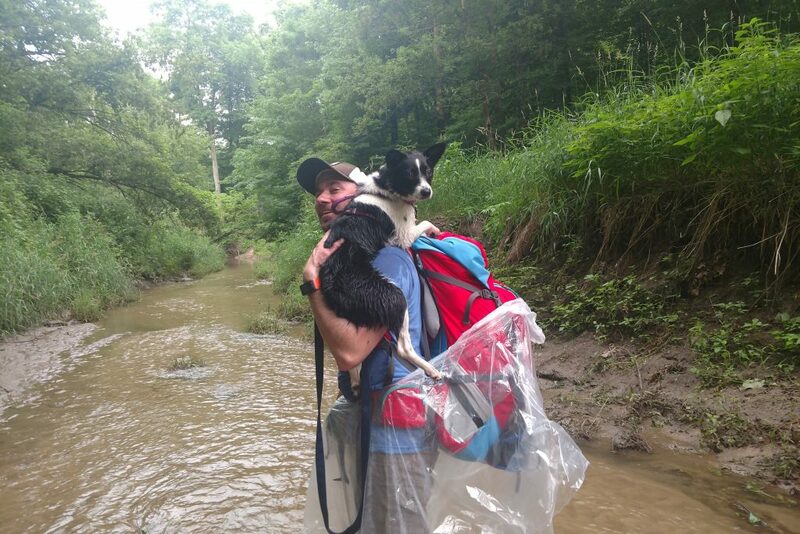 In London, the Grand Canyon, Yosemite… I wore them on my Trash Trek when I picked up litter along the Great River Trail back in the Quad Cities. I’m tough on everything I own and my boots are no different. Some stitching started to give, the tread was wearing down, and yet they put up with everything I threw at them and kept on going. That is, until I wore them during an ill-fated camping trip, from which we had to bail out. An hour walking up a muddy creek proved too much for my already worn out pair of boots. An hour of walking up a muddy stream dealt the final blow to my Montys. I could have spent some money having them repaired, but decided to invest in a new pair of Monty’s instead. My experience with this company, and their boots, has been nothing but fantastic. 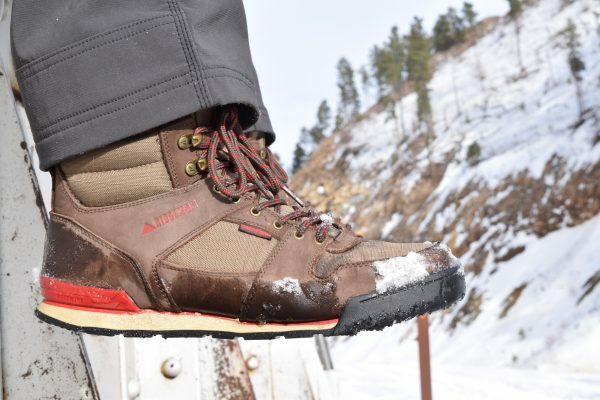 Ridgemont Outfitters makes hiking boots for everyday wear. I refer to them as casual hikers, but they’re also a great entry-level boot for newcomers to the outdoor world. My first pair of Monty Hi hiking boots, which Ridgemont Outfitters still makes, came in at an affordable $99. Modeled after classic 1980s style hikers, I loved the the Monty Hi hiking boots. Made of oiled suede, with decent tread, I selected a pair in a brown/orange color combination. I personally like the look of hiking boots, but their different color combinations blend a lot more into a world of casual shoes. I put them through their real first trial on a winter overnighter, and they performed admirably. Then I just kept on hiking with them, traveling in them, and even just wearing them as my everyday shoes. After wearing them for a few years, logging over one thousand miles on them, and eventually destroying them, here’s what you need to know about my original Montys. Comfortable: The vulcanized rubber sole makes for easy walking, the insole is comfortable right out of the box, and for being a casual boot the ankle support is incredible. The Vibram sole is impact resistant, and these boots are just comfortable to walk in. High quality: These boots are made of pretty rugged material. I don’t treat any of my possessions gently, so I abused these for almost three years. Initially I figured I would be able to wear these for a year or two, and I beat them up even longer than that, so I’m happy with the return on investment. Effective for many uses: Ridgemont Outfitters makes sells boots that are made for multiple uses. They’re not trying to convince anyone that these are the best hiking boots in the world; rather that these are solid hiking boots that will serve you well in town, at the brewery, and at the store, in addition to performing well on the trail. It’s honest advertising, these boots do well in all of these environments. Price: At $99 these boots are a steal (my new pair is more expensive, but I’ll get to that in a minute). You can absolutely find less expensive hiking boots, but my experience with cheap boots is that they typically don’t last too long, or stay as comfortable. Tread: The tread on my original Montys is lacking for some terrain. When going up and down snowy or muddy hills, I could have used a little more traction. If you’re planning on regularly covering challenging terrain, you might want to consider a more technical boot. 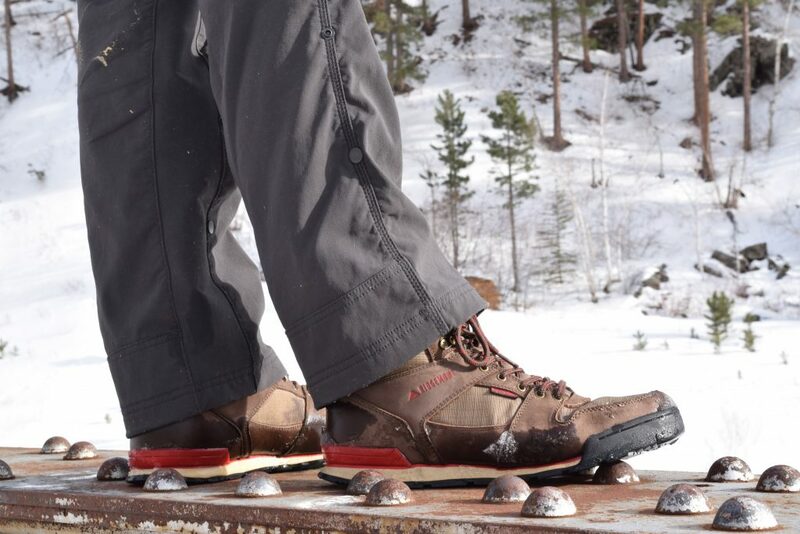 For general hiking, you’ll have all the traction that you need in these. For a casual boot, however, this tread is pretty solid. Waterproofing: The oiled suede provides great water resistance, but it’s not full on waterproof. Honestly you won’t have much trouble splashing through a puddle or scrambling through a small creek. Where you’ll start noticing moisture will be walking through a lot of tall wet grass or deep snow. Breathability: My original Montys don’t breathe as well as some technical boots I’ve owned. I recommend moisture-wicking sock liners to help reduce moisture issues, especially in colder weather. Overall I loved these boots, and would still absolutely recommend them. What about your new pair? In 2018, Ridgemont Outfitters upgraded the Monty line. Since I had such a great experience with the original Oiled Suede Montys, I didn’t hesitate to buy the updated version. How did they work out? 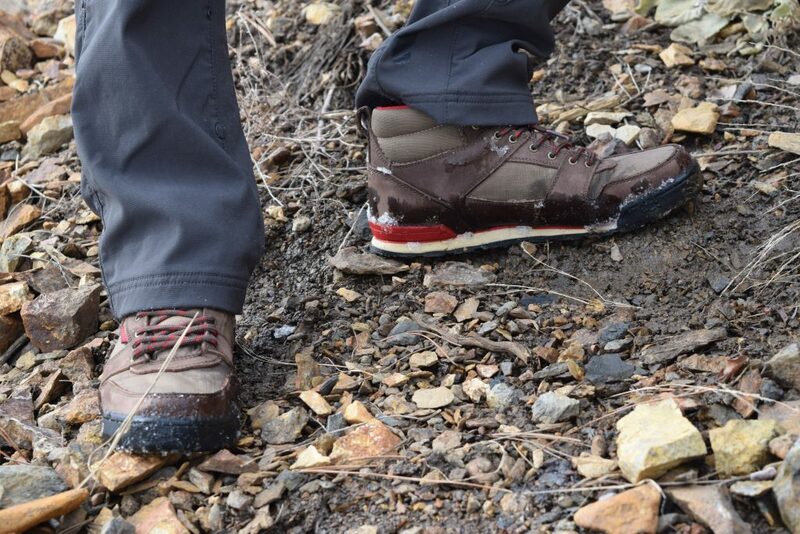 The new Monty Hi Hiking Boots perform even better than my first pair! The new Monty Hi hiking boots right out of the box. Of course a bought a pair that look like hiking boots. So what’s different about the upgraded version? The body of the new boots is waxed leather instead of oiled suede, with breathable and water resistant ripstop panels. The inside of the boot features a Sympatex boot liner that’s both waterproof and breathable. 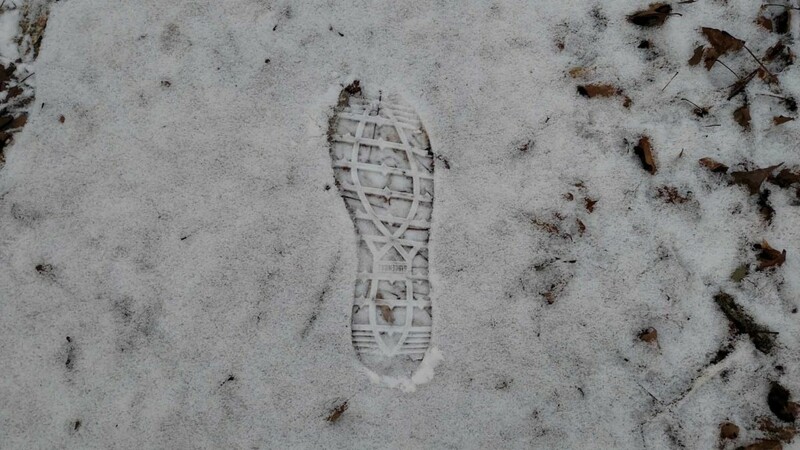 What does this mean for the new Monty Hi hiking boots? The same comfortable insole and excellent ankle support, and the exact same durability, but with improved technical performance. 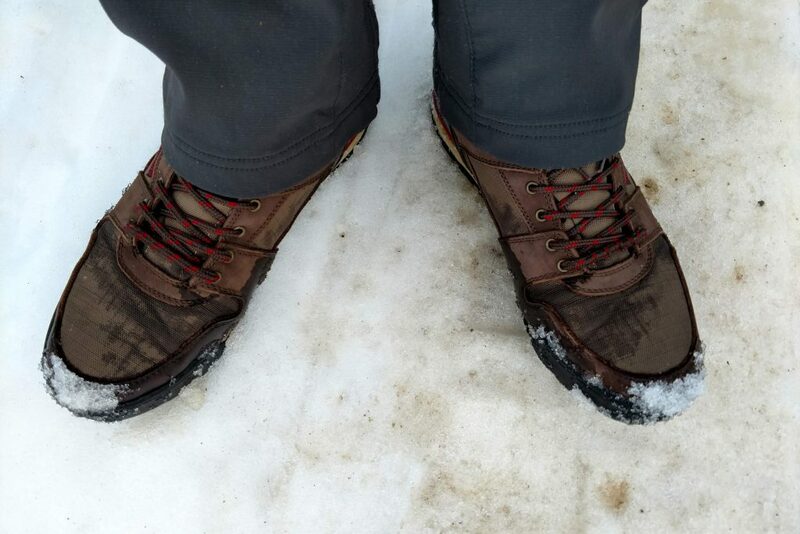 I’ve had no moisture issues with the new pair; wet grass and deep snow haven’t given me any trouble; the ripstop absorbs some moisture and looks wet, but the moisture has never reached my feet. Although the ripstop panels look like they’re taking on water, my feet are warm and dry inside. The new Monty Hi boots also breathe a lot better than my first pair. My feet work up a sweat when I’m hiking and the new Montys, paired with moisture-wicking socks, keep my little piggies nice and dry. The new pair has similar tread to my first pair, but overall I feel the the quality of the tread has improved. It has a bit more “stickiness” when wet, so I keep my footing better on rocks or in mud and snow. They’re not super chunky but they will treat you right on most hiking trails. They’re managing on mud and loose rock pretty well. What will the updated Monty Hi boots cost you? $139 – not a steep jump from the original style. Are the upgrades worth the additional $40? For me, the answer is absolutely, 100% yes. Straight up, you have the same pros as my original Montys. They’re comfortable, high quality, and work well in different environments. They’re $40 more expensive, but still pretty cost effective. The new Monty Hi boots get rid of the cons from the original pair, with better waterproofing, improved breathability, and “stickier” tread. They don’t seem to retain warmth quite as well as the originals, so make sure that you wear some warm socks if you’re out in cold weather. Otherwise, I’ve got no cons to list. These boots do everything they’re designed to, and they look good doing it. Looking good on the trail. I love my Monty Hi hiking boots! If you’re looking for the perfect pair of technical hiking boots, you’ll want to keep looking. Invest in some Danners or Salomons. But most of us don’t necessarily need the ultimate hiking boot, and for those of us on a budget, these boots are very accessible at $99 or $139. Ridgemont Outfitters Monty Hi Hiking Boots – Two Thumbs Up! I know I sound like a broken record, but I just want to be clear; these boots won’t be the best technical hiking boots you see on the market. If you’re heading up a mountain or taking on a technical trail with incredibly difficult terrain, consider investing in more technical hiking boots. 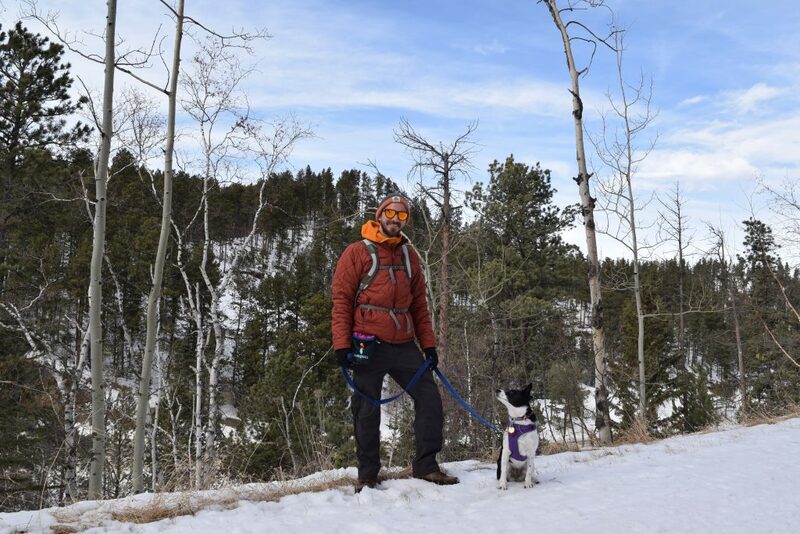 That doesn’t mean that you can’t rely on the Montys on the trail; I wear them on all kinds of trails, covering many different terrains, and in a variety of weather conditions. They always get me where I need to go, and they do it comfortably! 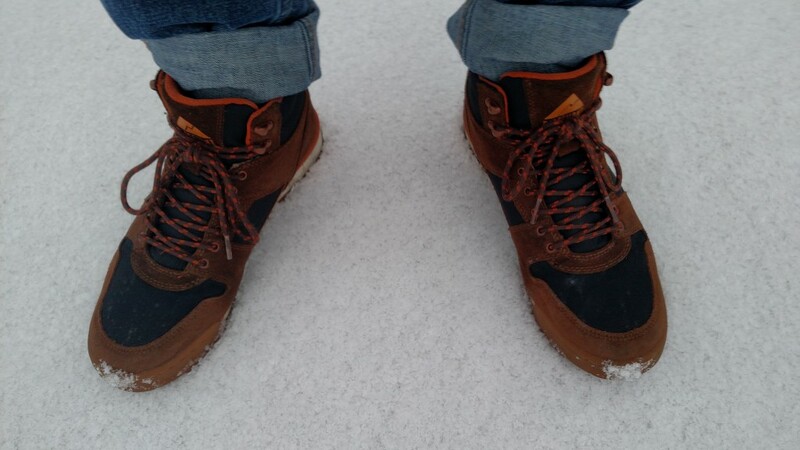 Even when we’re hiking up a snowy mountain trail, these boots get me where I’m going. 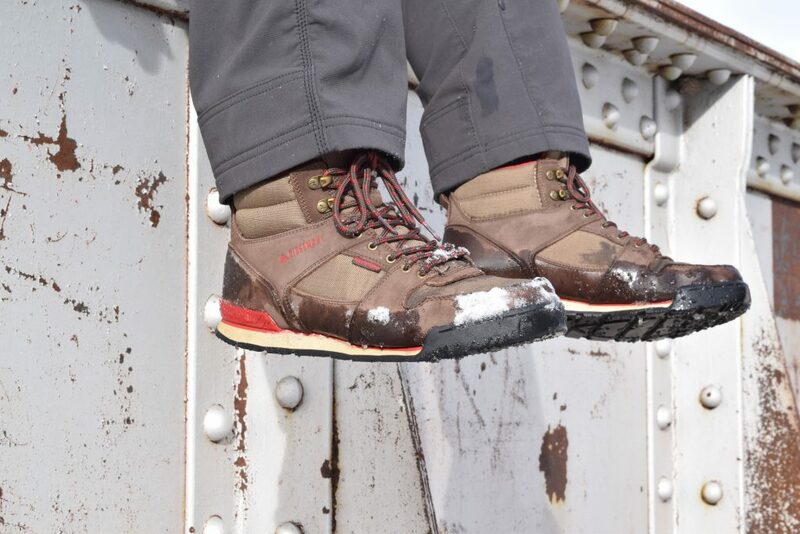 The Monty Hi hiking boots are the best boots I’ve ever had that perform great on the trail, remain comfy when you head into town for pizza, or even swing into the brewery at the end of a long day. Since they work out so well in different environments, I’ve found they make great traveling boots as well, so that’s something to keep in mind. I love my Montys and I think you will too! You’ll see them strapped on my feet whether I’m walking the dog, hitting the trail, or out for a night of camping. 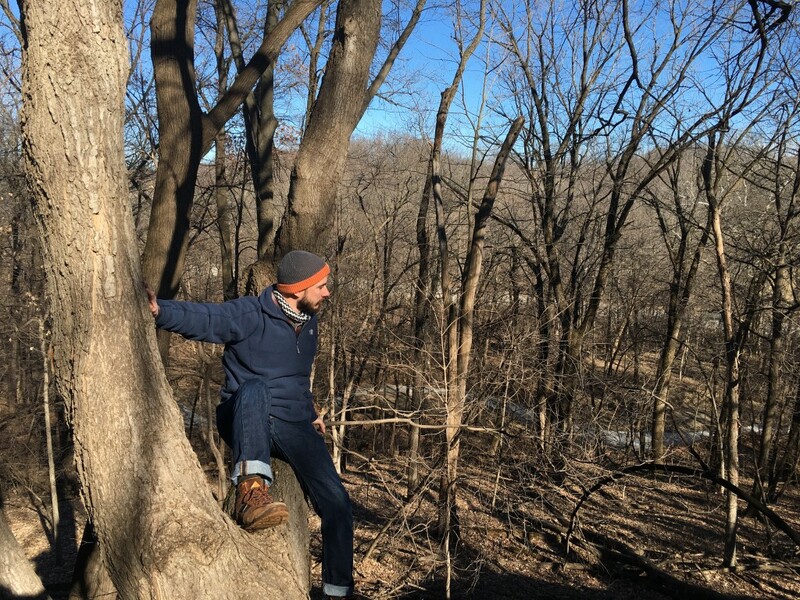 I may opt for more technical boots when I’m on more technical trails, but Ridgemont Outfitters’ Monty Hi hiking boots are always my go-to footwear. Check out my original oiled suede Monty Hi boots here. Check out my newer more technical Montys here. Ridgemont Outfitters Monty Hi boots are my favorite hiking boots, as well as my favorite footwear in general. they sound good, Wade. I’ve bookmarked their site! I’m really pleased with them, and I really like the attitude of the company (their “About” page is a good little tale that I really identified with). I really like these boots! Not perfect, but really good for the price. Thanks for reviewing them and bringing the company to my attention. The Heritage boots look great! I’m digging the Java/Red, and I’m thinking about snagging a pair of my own as well. The Montys fit pretty true to size. I typically wear size 9.5 and that’s what size I’ve got; they fit perfectly! Let me know if you decide to buy, and let me know how they work out for you!